Joseph Prince has broken in on the TV networks and has become known for preaching the gospel of grace. But what he has done is incorporated his word faith teachings and promises with the gospel health and wealth; exaggerating the gospel of grace. Prince is presenting special revelation according to his view on the gospel, teaching that we no longer need to confess sin but instead confess our righteousness in Christ. That the Holy Spirit does not convict believers of any sin, but of their righteousness they have from Christ. 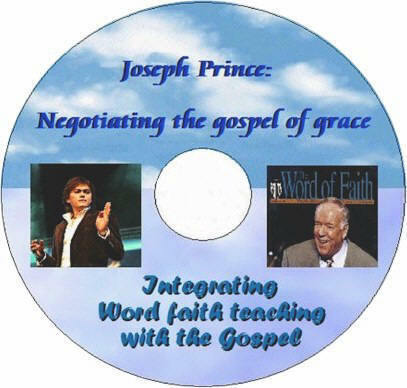 This video shows his quotes by power point and numerous video clips making it clear that he is a word faith teacher and the basis for his message is the false word faith teachings of Kenneth Hagin and others. This helps people not to be taken in by those who mix a grace message with word faith dominionsm.